Nikolai Khrisanfovich Rybakov [7(19).5.1811, Kursk — 15(27).11.1876, Tambov] was a prominent Russian dramatic actor. He was born in the family of an estate manager of the Veliaminovs, Kursk landowners. His father died when he was a small child. Nikolai was living in the care of his mother who had a modest atelier and a clothing store. In 1825 after the finishing of four-year course of gymnasium the actor-to-be enlisted in the office of the Kursk State House. At the same time he was admitted to the company under the direction of I.F. Stein as an extra player. On February 5, 1826 N.Kh. Rybakov made his first appearance on the stage in the bit part of the Roman in B.M. Fedorov’s comedy “Strange Encounters, or Turmoil in Masquerade” (“Chudnye vstrechi, ili Sumatokha v maskarade”, 1818). In 1832 he retired from the office and decisively chose the path of professional actor. Being an actor of I.F. Stein’s Theater he visited and went on tour many towns and cities of the Russian Empire, including Moscow. After the decline of I.F. Stein’s non-repertory company during the theatrical season of 1833–1834 he joined the troupe of L.Yu. Mlotkovsky. In 1839 N.Kh. Rybakov presented his interpretation of Shakespeare’s Hamlet. The provincial audience welcomed this production with open arms. For instance, in 1840 the actor played the parts of Othello and Hamlet in Tambov. It is assumed that eminent P.S. Mochalov happy-go-lucky played a significant role in the fate of the novice actor. Being on tour in Kharkov the great Russian tragedian did not find common ground with entrepreneur L. Yu. Mlotkovsky and flatly refused to come upon the stage as Hamlet. N.Kh. Rybakov proposed himself as a replacement of the Moscow celebrity. L.Yu. Mlotkovsky essentially had nothing to do but to accept the offer, because posters had already been pasted up. The action of the performer as Hamlet was greeted with applause again. P.S. Mochalov himself gave a good report of the young actor and became his patron. On the maestro’s advice N.Kh. Rybakov concentrated on the performance of tragical parts. In 1840 the two actors were playing the role of Hamlet in the Goloshchapov’s Tambov Theater by turns. I.F. Gorbunov was recollecting that after many years the actor was asked a question on where actor’s talent was and he said the following: “In the eyes! Look into Sadovsky’s eyes someday… And such the eyes Mochalov had. I was lucky to perform with this great man in Voronezh. He was acting Hamlet, and I was Guildenstern.” However, it should be noted that N.Kh. Rybakov had his own conception of the character of Hamlet: although he was acting Hamlet in the romantic key as well as his teacher was, nevertheless, he was making more particular emphasis on the mournful reflections on the meaning of life. The actor was acquiring popularity, but in 1841 he disrupted relations with L.Yu. Mlotkovsky’s company and became a free actor. Only 4 years after P.S. Mochalov’s decease (1848) the performer managed to make debut on the stage of Moscow Imperial Maly Theater (1852). In 1854 he appeared on the scene of the capital Aleksandrinsky Theater as Hamlet. However, because of some disagreements with the administration of the Imperial theaters N.Kh. Rybakov had to come back to the province, where he successfully carried on the traditions established by P.S. Mochalov, M.S. Shchepkin, V.A. Karatygin. The actor enacted Liapkin-Tiapkin, Zemlianika, Khlestakov [“The Government Inspector” (“Revizor”) by N.V. Gogol], Skalozub, Chatsky [“Woe from Wit” (“Gore ot uma”) by A.S. Griboyedov], Skotinin [“The Minor” (“Nedorosl”) by D.I. Fonvizin], etc. He was especially famed as Gennadiy Neschaslivtsev in “The Forest” (“Les”) — a comedy by “Russian Shakespeare” A.N. Ostrovsky that was dedicated to the actor. Later his son, K.N. Rybakov, was successfully acting this part in the Maly Theater. Among his Shakespearean roles there were: Hamlet, Othello, King Lear, Coriolanus, Macbeth, Richard III in the eponymous plays by the Great Bard, as well as Shylock in “The Merchant of Venice” and Guildenstern in “Hamlet”. In June 1876 he signed a contract with Tambov entrepreneur I.I. Oznobishin and played on the stage of the Winter Theater. The actor passed away in Tambov on 15 (27) November, 1876. He was buried at the Uspensky Cemetery. In Tambov in the Theater Square, which is situated not far from the place where the Winter Theater was located, a memorable stone with the name of N.Kh. Rybakov was laid. Since 2007 the All-Russian Theater Festival in Tambov has been named after him. Bibliography (transliteration): Sablin S. Stavropol'skii teatr // Repertuar Russkogo teatra i Panteon russkogo i vsekh evropeiskikh teatrov. 1848. T. 4. Otd. VI. S. 37, 41; Sredin V. Voronezhskii teatr // Repertuar Russkogo teatra i Panteon russkogo i vsekh evropeiskikh teatrov. 1852. T. 4. Kn. VII. S. 22; Kostromskie Gubernskie Vedomosti. 1852. � 4. S. 429–430; Grinberg E. Teatr v Kostrome // Repertuar Russkogo teatra i Panteon russkogo i vsekh evropeiskikh teatrov. 1858. T. 7. Kn. �. S. 6–7; Grekhnovskii F. I. Kurskii teatr // Repertuar Russkogo teatra i Panteon russkogo i vsekh evropeiskikh teatrov. 1858. T. 8. Kn. 3. S. 19; Gatsiskii A. S. Nizhegorodskii teatr (1797–1867 gg.). Nizhnii Novgorod, 1869. S. 54, 55, 59; Moskovskoe Obozrenie. 1876. � 8; Nekrolog // Illiustrirovannaia Gazeta. 1876. 6 dekabria. � 48. S. 384; Muzykal'nyi Svet. 1876. � 47, 49, 50; Turbin S. N. Kh. Rybakov // Teatral'naia gazeta. 1876. 28 noiabria; Nekrolog // Vseobshchii Kalendar' na 1878 g. S. 28; Sufler. 1879. 14 oktiabria. � 1. S. 3–4; Samsonov L. N. Perezhitoe. Mechty i rasskazy russkogo aktera (1660–1871 gg.). SPb., 1880. S. 20, 22–26, 30–36, 39–42; Vospominaniia o R. E. Litovskoi // Raduga. 1884. � 38–41; <N. Ch.> Khar'kovskie stsenicheskie deiateli proshlogo vremeni. Nikolai Khrisanfovich Rybakov // Iuzhnyi Krai. 1888. � 2726, 2727; Ivanov N. I. Vospominaniia antreprenera // Istoricheskii Vestnik. 1891. Noiabr'. S. 336; To zhe. // Istoricheskii Vestnik. 1891. Dekabr'. S. 589–597; <Stat'ia o Rybakove N. Gorodetskogo> // Dnevnik Artista. 1893. � 8; Alekseev A. S. Vospominaniia. M., 1894; Vospominaniia A. A. Pleshcheeva // Istoricheskii vestnik. 1901. T. 86; <Zametka V. M. Doroshevicha> // Rossiia. 1901. � 917, 919; Vospominaniia A. A. Pleshcheeva // Pleshcheev A. A. Chto vspomnilos'. Aktery i pisateli. SPb., 1914. S. 182–196; Rybakov Nikolai Khrisanfovich // Bol'shaia sovetskaia entsiklopediia, 1-e izd. / pod red. K. E. Voroshilova, A. Ia. Vyshinskogo, P. I. Lebedeva-Polianskogo, A. Lozovskogo, F. N. Petrova, F. A. Rotshteina, O. Iu. Shmidta, E. M. Iaroslavskogo / Gosudarstvennyi nauchnyi institut «Sovetskaia entsiklopediia». M. : OGIZ RSFSR, 1944. T. 50. Ruchnoe ognestrel'noe oruzhie — Seritsit. Stb. 22; Klinchin A. P. Nikolai Khrisanfovich Rybakov. 1811–1876. M. : Iskusstvo, 1952. 244 s.; Klinchin A. P. Nikolai i Konstantin Rybakovy // Teatr. 1956. � 10. S. 189–191; Zemenkov B. S. Pamiatnye mesta Moskvy: stranitsy zhizni deiatelei nauki i kul'tury M. : Moskovskii rabochii, 1959. 509 s. S. 279–281; Klinchin A. P. Nikolai Khrisanfovich Rybakov. 1811–1876. M. : Iskusstvo. 1972.176 s. 16 l. il. (Zhizn' v iskusstve); Bol'shaia sovetskaia entsiklopediia, 3-e izd. / gl. red. A. M. Prokhorov. 1975. T. 22. Remen' — Safi. 628 str., ill.; 37 l. ill. i kart. ; Rodinova I. Stranstvuiushchii rytsar' stseny // Literaturnaia Rossiia. 1975. 18 iiulia; N. Kh. Rybakov // Istoriia russkogo dramaticheskogo teatra. M., 1978. S. 193–199; Bugrov Iu. Velikii tragik // Kurskaia pravda. 1982, 21 noiabria; Pyliaev M. I. [O N. Kh. Rybakove] // Pyliaev M. I. Zamechatel'nye chudaki i originaly / M. I. Pyliaev. M., 1990. S. 512–523; Nikolai Khrisanfovich Rybakov // Tambovskie daty, 1991 god. Tambov, 1990. S. 19–20; Kamenetskaia S. N. Kh. 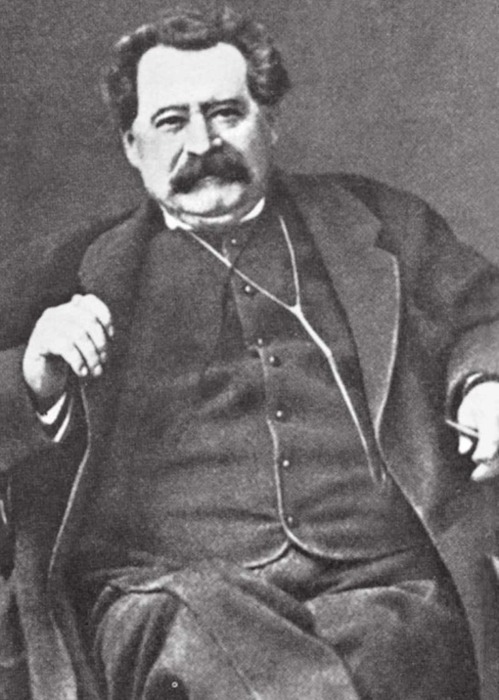 Rybakov (1811–1976) // Gordost' zemli Kurskoi. Kursk, 1992. S. 206–207; Tatarskaia I. Pervyi tragik provintsii: N. Kh. Rybakov // Kurskaia pravda. 1999. 29 iiulia. (Nashi zemliaki); Kuchenkova V. Rybakov Nikolai Khrisanfovich // Kuchenkova V. Tambovskie gorodskie nekropoli / V. Kuchenkova. Tambov, 2000. S. 45; Pimenov G. Talanty kurskoi stseny // My — kuriane. 2000. 14 noiabria. S. 13; Rybakov Nikolai Khrisanfovich // Rossii Chernozemnyi krai. Voronezh, 2000. S. 746–747; Morozov E. A. Zakladnoi kamen' na meste budushchego pamiatnika artistu N. Kh. Rybakovu // Morozov E. A. Nash Tambov / E. A. Morozov. Tambov, 2001. S. 39 : fot. ; Rybakov Nikolai Khrisanfovich // S chetyrekh storon Rossiia... Tambov, 2003. S. 230 : fot. ; Tatarskaia I. Iu. On igral sebia…: Kumiry teatral'noi provintsii // Gorodskie izvestiia. 2003. 12 aprelia. S. 3. (Seimskie berega); Smirnov A. N. Rybakov Nikolai Khrisanfovich // Tambovskaia entsiklopediia. Tambov, 2004. S. 503–504 : fot. ; Rybakov Nikolai Khrisanfovich // Malaia kurskaia entsiklopediia. Kursk, 2005. S. 325; Smirnov A. Nikolai Khrisanfovich Rybakov, 1811–1876 // Smirnov A. Teatr i vsia zhizn'. Tambov, 2005. S. 219–223 : fot. ; Nikolai Khrisanfovich Rybakov (K 200-letiiu so dnia rozhdeniia) // Tambovskie daty, 2011 god : kalendar' znamenat. i pamiat. dat po Tamb. obl. / TOGUK «Tamb. obl. univers. nauch. b-ka im. A. S. Pushkina», TOGU «Gos. arkh. Tamb. obl.», TOGU «Gos. arkh. sots.-polit. istorii Tamb. obl.»; sost. : S. V. Bulygina ; red. V. T. Dorozhkina ; otv. za vyp. V. M. Ivanova. Tambov : Proletar. svetoch, 2010. 185 s. S. 110–111. The article was written and published within the framework of the project "The Image of Hamlet as a Constant of Russian Culture" with the support of the Russian Foundation for the Humanities (grant No. 11-34-00221�1). Citation: Gaydin B. N. Rybakov Nikolai Khrisanfovich [Electronic resource] // The World of Shakespeare: An Electronic Encyclopaedia. URL: http://world-shake.ru/en/Encyclopaedia/4357.html .